Popular basket from the Dutch Basil company for carrying pets on the back of your bike, made of buff willow on a plywood base. 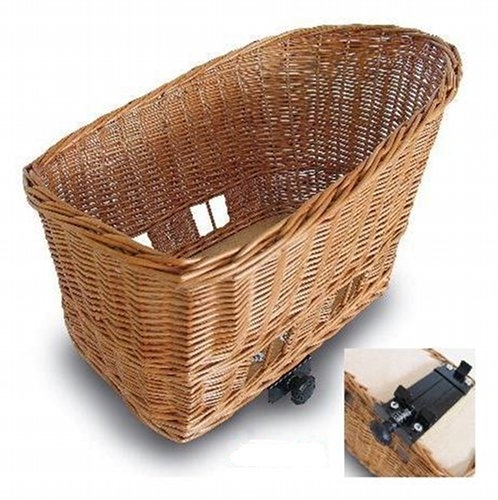 This basket mounts on a rear rack, and measures 50 cm long by 42 cm wide and 33 cm tall. The knob on the side allows the basket to be removed and re-fitted quickly.